Retail is one of the fastest growing sectors in the world right now. But as the sector grows, so do the problems in managing it. The retail sector is made up of a series of sub-sectors and managing them efficiently is imperative to maintain or increase the profits. Fortunately, ERP in Retail industry could be the solution. The crucial role information plays in business operation is undeniable. Yet, the more you expand your organization, the harder it becomes to synchronize the data across all units. So, what drawbacks can this lead to? For starters, a price change might not be reflected uniformly across the units, allowing someone to take advantage of this mismatch. There is also the possibility of incorrect records being used while the rectifications are not reflected properly. The biggest flaw would be the delay in information propagation, which in turn causes the delay in overall operations and loss of efficiency. However, ERP can solve most of this. 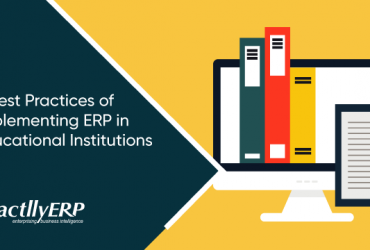 It must be understood that the entire ERP system operates on data and information. In other words, information is the fuel for ERP. The tool seeks and distributes real-time information to all the relevant units, leaving no scope for error or delay. Anyone in the retail would know that the customer is everything. Brand loyalty is like a sand castle on the beach, and there is always a fear of losing customers. ERP in retail could play a vital role in customer management and retention. As mentioned earlier, ERP operates on information; information that can be vital once you analyze it. For instance, you can sort the purchase history of customers and pick the most active ones, showering them reward points. 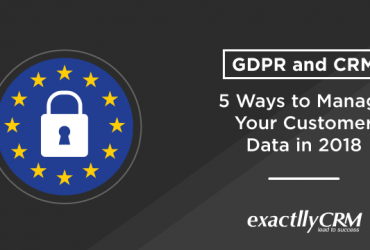 The customer history also gives you an insight into customer habits and allows you to create promotions and deals that cater to their needs. Going beyond sales and marketing, ERP also helps you to solve customer grievances in a timely manner. 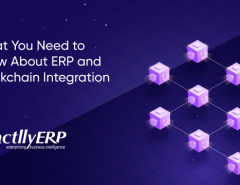 On the whole, ERP provides you with an integrated view of all the customers and makes it accessible to every relevant faction of your business. Of course, the primary advantage of using ERP in retail industry is managing the employees. The retail industry, in particular, operates via retail outlets, spread over various geographical locations. Hence, aside from the usual challenges of managing a huge number of employees in any industry, the geographical constraints make it more difficult. ERP facilitates the management of employees through an integrated system. Most vendors offer mobile solutions with the ERP package, thereby making employee management more feasible. Essential employee details are stored in the ERP system, along with real-time information like shift timings, work hours etc. All of this contributes in managing the employees more efficiently and making communication with them easier, like handing out new assignments, tracking goals met and offering bonus/promotions. The retail industry primarily consists of FMCG, which makes demand very volatile and dynamic. Inventory management is a very critical problem in retail because both excess inventory and inability to meet the demand can lead to financial losses. Realizing the importance, ERP offers inventory management as an integral feature. It stores details of your entire inventory, including the individual product details. This ensures you know exactly what is present in your inventory and which items are going to run out of stock. It also tracks the shelf life and notifies if any product is about to expire. 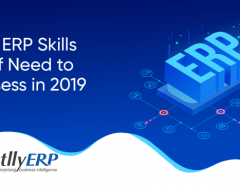 Additionally, ERP has the ability to make demand forecasts. Analyzing past trends and customer habits, it can be forecasted if the future demand would rise or fall. It gives you an edge by allowing you to modify your inventory accordingly for meeting the demand. PoS system is certainly new compared to traditional sales methods, but it has become increasingly vital in the retail industry. PoS machines are basically a system that oversees the transactions happening in any retail outlet. A major advantage of PoS machine is that it automatically feeds the transaction details into the system, thus eliminating the need for extra effort and the scope of human errors. ERP tools now come integrated with the PoS machines (both hardware and software), which is a big reason behind real-time data. In simple words, ERP takes the advantage of PoS machines one step further: all transactional data is reflected immediately not just in the retail outlets, but in the central ERP tool too. No one can deny the importance of e-commerce in the retail industry today. Some might argue that e-commerce has become the poster boy for the entire retail industry. In any case, e-commerce is indispensable for retail, which is why ERP tools now come with e-commerce integration. Like PoS machines, e-commerce integration allows the ERP tool to get access to real-time data about transactions. This data can then be used for inventory management, demand forecasting etc. Sales is what the entire retail industry boils down too. A majority of decisions taken in any retail business are about improving sales. ERP comes with the features that can aid you in this. Primarily, ERP allows you to perform analytics on customer trends and past sales. It gives you insights into what products have been popular and what haven’t, which helps you in deciding which product you should promote and which you must discard. The various factors associated with sales, like pricing, discounts, sales offers etc., can be improved with ERP. 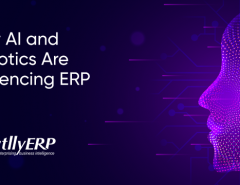 It would not be an exaggeration to say that ERP is indispensable to retail industry, especially given the fierce competition today. The various advantages of ERP in retail industry, most of which we discussed above, will only allow you to get an edge over your competitors.